Electric Vehicle DC rapid charging plug type is about to change. ChargeNet NZ are pleased to announce the forthcoming change to their DC fast charging network from Type 1 CCS charging to the Type 2 CCS charging plug. The CHAdeMO cable will remain unchanged. BMW Group New Zealand and ChargeNet NZ entered into an agreement in 2016, to support the installation of over 100 DC rapid chargers across the length of New Zealand, creating an electric highway. Both parties were involved in the extensive industry consultation, which has resulted in the MIA and NZTA announcing the new recommended EV charging standard for New Zealand. 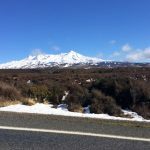 With European designed and manufactured vehicles leading with advances in EV technology and availability, adopting a European standard for the New Zealand charging infrastructure ensures compatibility with the most modern technology from Europe. “New Zealanders are innovators and move swiftly to keep pace with change so upgrading to the Type 2 CCS plug is a good move” says Steve West, CEO of ChargeNet NZ. “Our company vision is, and has always been, to encourage the uptake of as many electric vehicles as possible”. ChargeNet NZ will begin modification of their charging infrastructure to the new plug standard, on a rolling basis. The changeover will commence in the South Island in mid-April 2017, and the North Island from May 2017. By replacing the existing Type 1 standard with the European Type 2 CCS (Combined Charging System) standard, New Zealand rapid chargers will now have access to a wider variety of vehicles that could not otherwise utilise New Zealand rapid charging infrastructure. Given the early stages of infrastructure development, the timing to adopt this new standard has been agreed by ChargeNet NZ and BMW Group New Zealand with such companies such as Vector, Unison, WEL Networks, Orion and other affected parties. The plug type change will also future-proof New Zealand new BMW i3 (94Ah) model variants, offering AC charging up to 11kW. Affected New Zealand-new BMW i3 customers whose vehicles have a Type 1 CCS plug are being contacted directly by BMW as part of a vehicle upgrade programme. However, any BMW i3 customers should contact their nearest BMW i Dealer if they have any questions on the new charging standard. 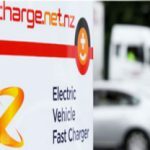 If you are planning a trip or using one of the ChargeNet or Vector stations please check plug type at https://charge.net.nz/ and https://chargenow.co.nz/my/station/. In October 2016, BMW Group New Zealand and ChargeNet NZ announced a synergistic partnership when they formed the ChargeNow Network of DC Electric Chargers along the Electric Highway. ChargeNet NZ plans to have more than 100 stations open by the end of 2018. ChargeNet stations are powered by 100 per cent zero-carbon-certified electricity from Ecotricity. The average length of a charge on a ChargeNet rapid charging station is 19 minutes and costs less than $10. BMW customers can charge on ChargeNet station with their BMW-branded ChargeNow card. The Type 2 or IEC 62196 charging standard is recognised as the standard for electric vehicle infrastructure in Europe, and supersedes the existing ‘Type 1’ SAE J1772 plug type that is currently in use in New Zealand. Until now no formal standard for electric vehicle charging infrastructure has existed within New Zealand. The Type 1 SAE J1772 charging plug is the recognised standard is countries such as Japan, North America and Australia.